In this episode, Dave is excited to welcome Bedros Keuilian. 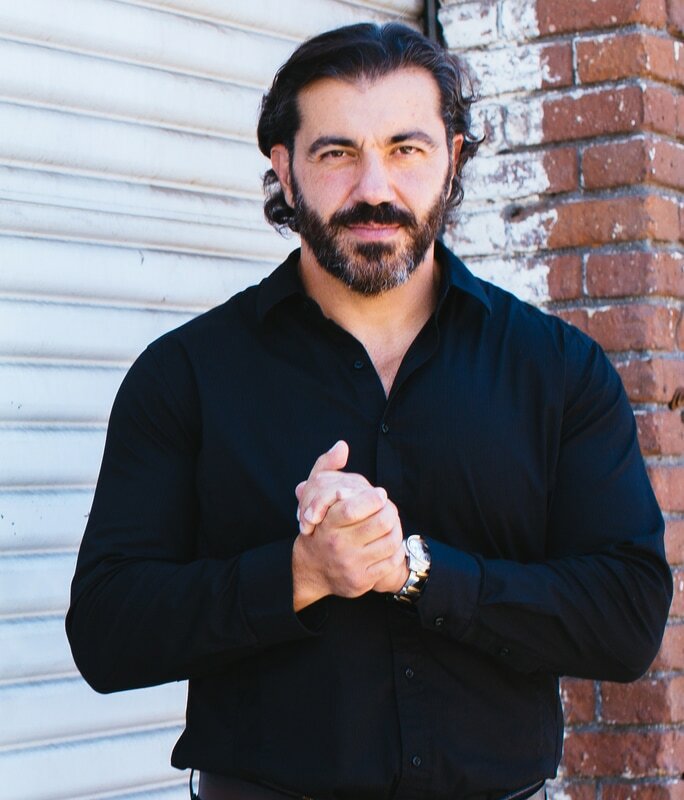 Bedros is a best-selling author, speaker, and high performance consultant. You may have heard of him or no doubt have followed someone or bought a product in which his systems and processes were used. Dave has been fortunate to spend time with Bedros and experience his wisdom and insight first hand into how to build a high performing business. But, as Dave mentions, the thing he loves most about him, is that he is not just a “consultant” giving advice, he’s in the thick of it and in the trenches every day himself. Bedros is the founder and CEO of the fastest growing indoor fitness boot camp franchise, Fit Body Bootcamp. He’s known as the hidden genius that the experts turn to when they want to create and launch successful digital info products, best-selling books, and high level coaching and consulting services. Bedros is best known for his ability to help his clients quickly establish expert and authority positioning and become the predominant brand in their field. His sales, marketing, mindset and business systems are the secret weapon used by thousands of successful digital marketers, best-selling authors, coaches and entrepreneurs who want to reach more high paying clients and customers without the use of unpredictable marketing tactics. Bedros has an amazing story. His father was a communist and part of the communist party in Armenia. It was not so much by choice, but by necessity. But, In 1980, his father saw an opportunity and decided to escape his family from communist Russia, who Armenia was under at the time, and flee to the United States. Bedros’s father wanted his family to have opportunity, but more importantly wanted to keep his sons from having to join the communist red army which was required at the time. So, he found a way to put together $25,000 and escaped to Italy and made their way to the American consulate. Bedros was only 6 years old. They made it to the US 11 days later and settled in southern California…flat broke and not really knowing any English. As Bedros says, he very quickly became the bread winner for the family at 6 years old…but not in the way you think. All his family members got multiple jobs working for less than minimum wage and Bedros’s job in the evenings was to go to the local grocery store where they dumped the expired food out back in a dumpster. His father would hoist him where he would find food that was still edible for the family. In the first few years, they lived in 14 different apartments and got kicked out of most of them. It was the experience of having to persevere and break through resistance that helped give Bedros what he calls the Immigrant Edge. Which he describes as the experiences that help create an almost “suit of armor” that helps you to be able to go through anything because you’ve had to overcome so much to just survive. It’s the ability to break through any adversity that comes your way that gives you a tremendous advantage in the game of life. Stack the odds in your favor. It’s one thing to connect on LinkedIn or social, but the smarter thing would be to look at who you know that is a degree or two connected to that person. One key piece of advice is to do all the heavy lifting for these people. Have a pre-written email/message they can send. Take control from start to finish and make it easy. Utilize as much contacts as you can and plan it. For example, if you know 4 people that can connect you. Have them reach our strategically over the course or a week to maximize your exposure and increase your ability to get the meeting you want. Elements of a great pitch? Let them know what the offer and opportunity is and how you will do all the heavy lifting making it easy for them to say yes and difficult to say no. Meaning – Explain what the significance and benefit is to them. What is the meaning? How will it make a difference? Note – keep it simple. Bullet points on money, meaning, what’s in for them, how it will make a difference, etc. At the 21:30 mark, Bedros talks about building a brand and what it takes to be successful. Tips for maximizing social media? Get to a point where you have much equity built in your giving bank that when you ask for something, you feel very comfortable doing so. At the 30:00 min mark, Bedros talks about the discipline and routine needed to build a high performing business and brand. Advice for starting out online? Secrets that you share with your $100k Mastermind group? Connections – Being in a group of other like-minded entrepreneurs that can also help your business grow accelerates your success and connects you with the right people to help you do it. The fastest way to success is to connect and get with the people who already have influence in the space you want to be and have them become your affiliates and promote for you. Bedros advice is to listen to it on audio. Start reframing to yourself that adversity is an advantage. Adversity is the advantage that will build your strong and embrace the adversity to help your learning curve accelerate. How you do anything is how you do everything. Your decisions and the way you do things affect everything. Ask yourself if you do things differently to do them truly right and then put that into practice. Be a control freak. You want to be in control of your health, your relationships, your wealth, of your schedule, ultimately of your life. Being a control freak is not a negative thing. If you aren’t in control, that means someone or something else is, and you lose the ability to affect the outcome of your life.